Chris is a Financial Advisor with THG Financial Strategies. He grew up in the Chicago area and attended Catholic schools through High School. He earned his bachelor's degree in Psychology from the University of Illinois at Chicago, and before joining THG, enjoyed a successful career in the recreational vehicle industry where he excelled in forming long and trusting relationships with clients. Chris brought the same dedication and integrity to his career as a Financial Advisor, supported by a team with decades of experience and professional affiliations. He is committed to the diverse financial needs of his clients in his quest of establishing long term client relationships. Chris helps to cultivate strategies for individuals, families, and business owners that strive to help them achieve their goals while seeking to protect their assets from taxes, market erosion, and unnecessarily high fees. His dedication to providing service and easy-to-understand financial strategies is only over-shadowed by his drive and motto that everyone should have a solid strategy for their future and an understanding of their current condition as well as needs to accomplish their ultimate objectives. His primary commitment is to his clients' futures and providing solutions that fit their needs. In his spare time, Chris is an avid motorcycle enthusiast, enjoys fitness, and boating on the weekends. 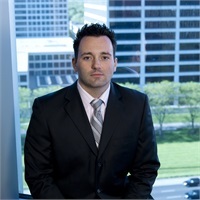 He is also fluent in Polish and works with many Polish speaking individuals in the Chicago land area. Chris Sakowicz is available for private consultation (per appointment only). He can be contacted either by email or telephone.